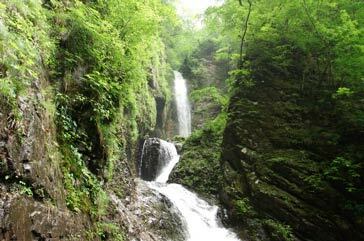 Nasu-Shiobara is one of the most popular resort spots near Tokyo. It is located north Tochigi Prefecture. Most of the Nasu-Shiobara are mountains and highland with lots of Onsen towns. Especially, Nasu Highland has great Onsen with beautiful nature and in winter it becomes one of the major sky spots in Kanto. It is located on the gate of Tohoku region, therefore, both Kanto and Tohoku people visit here for their vacation. Use Tohoku Express Way. Exit at Nasu. Use Tohoku Shinkansen to Nasu-Shiobara Station.